You can pick from the paintings below for your child's party, or I can custom design one for you! Birthday parties can be booked starting at $225. Parties last 2 hours and the room is set-up with a table for your gifts and refreshments. We put balloons on the end of each table with colorful ribbons. Your child's name is featured on a banner in the front window. 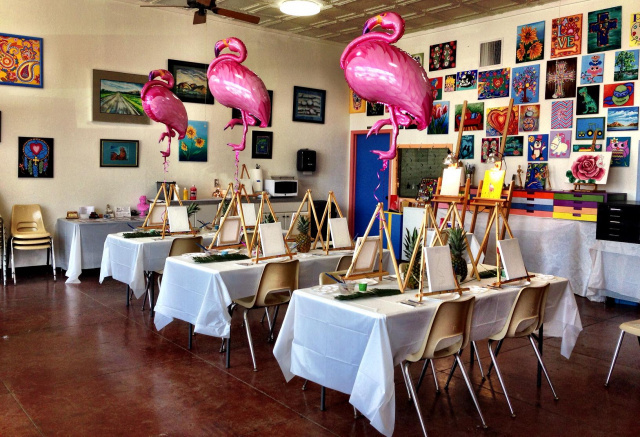 Parties start with a set up for up to 12 painters, with each additional painter costing $10. A deposit of $100 is required when booking. The balance is due at the party. 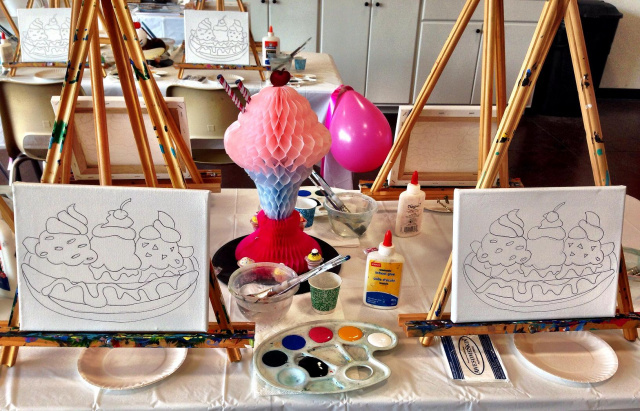 A minimum of 2 weeks is asked to design a custom painting for your child's party, or pick one from our Children's Paintings page below. If you hover over each painting below, you will see its title. 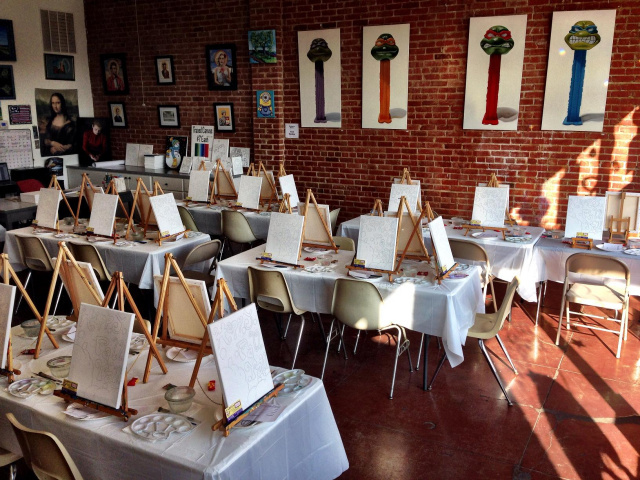 The painting area is pre-set with a traced canvas, paints, brushes and apron. We instruct for approximately 1 hour then parents take over and finish with food and gifts. We do all the clean-up! 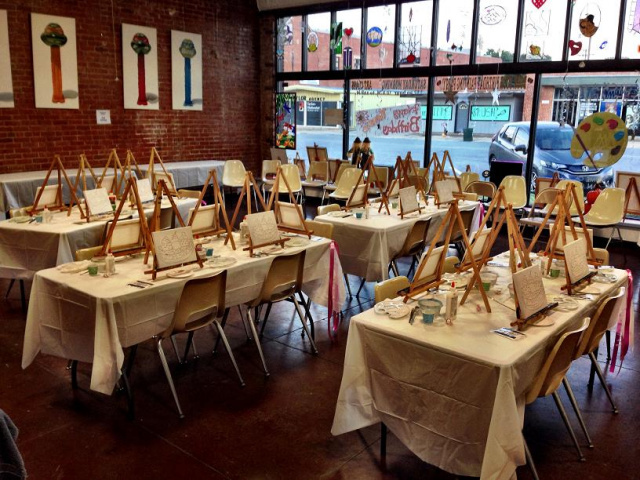 The Chickasha Art Center can accommodate up to 50 painters. We have a lounge and restroom and a large fridge for your refreshments. Most parties are booked on Saturday or Sunday from 2:00-4:00 PM, so book early!